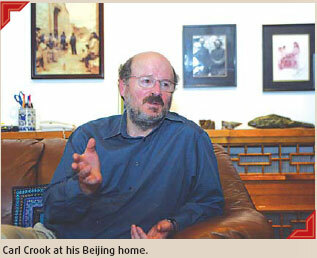 Carl Crook has a foreign face, but Mandarin is his mother tongue. The Briton was born in Beijing in 1949, the year the People's Republic of China was founded. The 58-year-old introduces himself as "a contemporary of the New China" in recognition of the fact that his life story includes many of the experiences that defined the lives of most Chinese people his age - from the "cultural revolution" to economic reform.